Jeff Sessions appeared before the Senate Intelligence Committee just five days after James Comey. US Attorney General Jeff Sessions testified about his dealings with Russian officials. 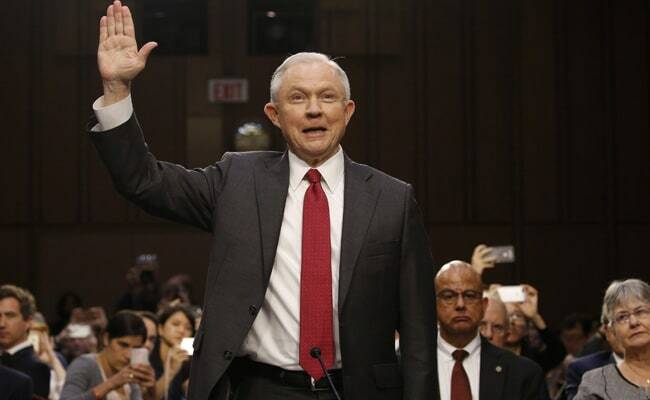 U.S. Attorney General Jeff Sessions, appearing at a high-stakes Senate hearing, on Tuesday denounced as "an appalling and detestable lie" the idea that he colluded with Russian meddling in the 2016 presidential campaign. Sessions testified about his dealings with Russian officials and whether he intentionally misled Congress as the Senate Intelligence Committee probes the Russia matter. "The suggestion that I participated in any collusion or that I was aware of any collusion with the Russian government to hurt this country, which I have served with honour for over 35 years, or to undermine the integrity of our democratic process, is an appalling and detestable lie," he said. Even before Sessions testified, attention in Washington swivelled to whether Trump might seek to fire Robert Mueller, the former FBI director named last month by the Justice Department to head a federal probe into the Russia issue. Sessions appeared before the Senate Intelligence Committee just five days after James Comey, whom Trump fired as FBI director on May 9, told the panel Trump ousted him to undermine the agency's investigation of the Russia matter. Sessions had written a letter to Trump recommending Comey's firing. In March he acknowledged he met twice last year with Russia's ambassador to Washington, Sergei Kislyak. His staff said Sessions did not mislead Congress because the encounters were part of his job as a U.S. senator, not as a Trump campaign representative. But the revelations prompted Sessions to recuse himself from the Russia investigation in March.